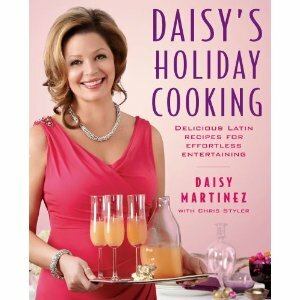 Daisy Martinez’s Holiday Cookbook Giveaway! Food Network Celebrity Chef Daisy Martinez has the holiday recipes covered in her brand new, not yet released book – Daisy’s Holiday Cooking: Delicious Latin Recipes for Effortless Entertaining. Who can bring you more sabor to the table than a Daisy Martinez recipe? If you have been following my previous Sabroso Saturdays recipes you know how flavor makes every dish a delicious one. Chef Daisy Martinez has chosen to give one of my readers an autographed copy of her brand new cookbook! 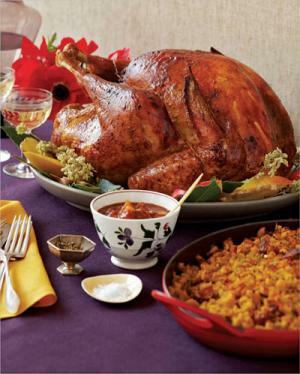 Mandatory Entry: Leave a comment telling me which effortless dish makes your holiday party or dinner extra special? Be sure to leave a valid e-mail address somewhere in the comment so that I can email you if you win! *Subscribe to Daisy Martinez’s Boricua Blog’s Newsletter. *”Fan” Daisy Martinez’s page on Facebook and tell her I sent you ;). *Follow @La_Daisy-Daisy Martinez on Twitter. *”Like” My Life Simple and Beautiful’s page on Facebook. *Follow me @Rachlwhite on Twitter. This giveaway ends November 1, 2010. Winner will be chosen randomly and will be announced here and also by email. This giveaway is open for U.S. residents only.